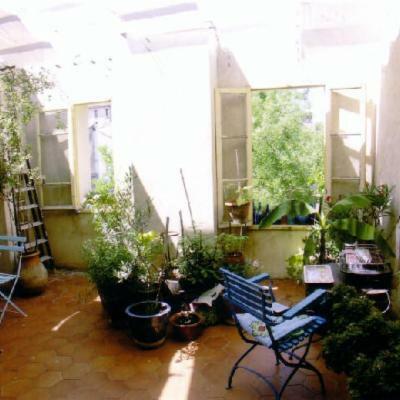 Sunny, spacious home, lots of charm, historic area, Camargues Avignon.Nimes, Marseille. Maison avec beaucoup de charme dans le centre historique de la ville. On peut voir les arènes de la terrasse. Arles est une ville très agréable et la lumière y est très belle (cf van gogh). Our house is in the historic part of the town, 10mn walk from the railway station where you can reach Avignon in 18 mn, Nimes 20mn, Marseille 45mn. Arles is in Provence with beautiful light, villages, countryside. There are manyT to visit, beautiful beaches in Saintes Maries de la Mer, Museum, and of course just relaxing and enjoying a café or a pastis by a terrasse on the place du forum. We will send you more information if we are both interested.